With over 100 years experience, Hypnos proudly claims to have the most comfortable beds, and when you relax on one of their mattresses, you’ll find it difficult to disagree. 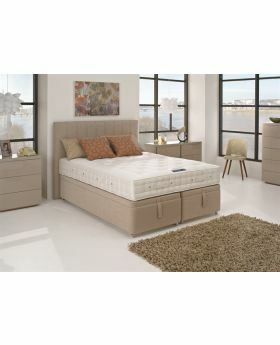 Michael O’Connor Furniture's selection of Hypnos mattresses will help you discover a more energising and enjoyable nights sleep. Whether your preference be an orthocare mattress or a pillow top mattress - whatever you choose - bedtime will be the highlight of your day with a Hypnos mattress. You may also wish to discover Hypnos beds.